EyePlay signage system is an amazing illusional sign that not only engages your customers but draws them in with its astounding, startling, astonishing, and striking moving effects. 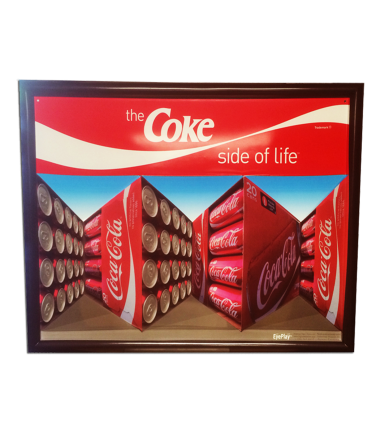 EyePlay's unique perspective effect creates motion as consumers walk side to side beckoning them to see the effects again and again while bringing your message to mind. EyePlay requires no power, but is powerful: no moving parts, yet is extremely moving. EyePlay is versatile, fluid, and mesmerizing. Your customers will be engaged, awed, and drawn to EyePlay when it is deployed for things such as retail signage in store, entrances, windows or any high traffic area.